MACAU, CHINA – If you’ve spent any time in Hong Kong, then you know how bloody crowded and claustrophobic it can feel. If you’ve actually lived there, you also know that there’s only one way to deal with all that craziness – the weekend getaway, the key to making HK living bearable. It seemed like everyone I knew in HK did weekend trips and each one had their own preferred destination. Some of them liked to head over the border into Mainland China to Shenzen for a few rounds of golf, while others would jet to nearby destinations like Bangkok, Taipei and Hainan Island. For me, the favorite weekend getaway was always Macau. Before moving to HK, I had only heard about Macau, mainly that it was the Vegas of Asia. But Macau turned out to be so much more: an irresistible combination of fantastic food (Macanese cuisine is one of my favorites in Asia), high-stakes gambling (which I love but am rather crap at) and one of the most fascinating cultures I’ve run across in a while – it’s a former Portuguese colony, now part of China, with African, Portuguese, Malay and Chinese trading port roots. It was also super easy to get there – an hour from HK by high-speed ferry, which runs 24/7, or an even quicker hop by helicopter. Best of all, once I was in Macau, it always felt like all that HK craziness was a million miles away. I’d make the trip about once a month, sometimes to gamble, sometimes just to relax (usually at the old Mandarin Oriental hotel for their spa), often to take overseas visitors and show them around. 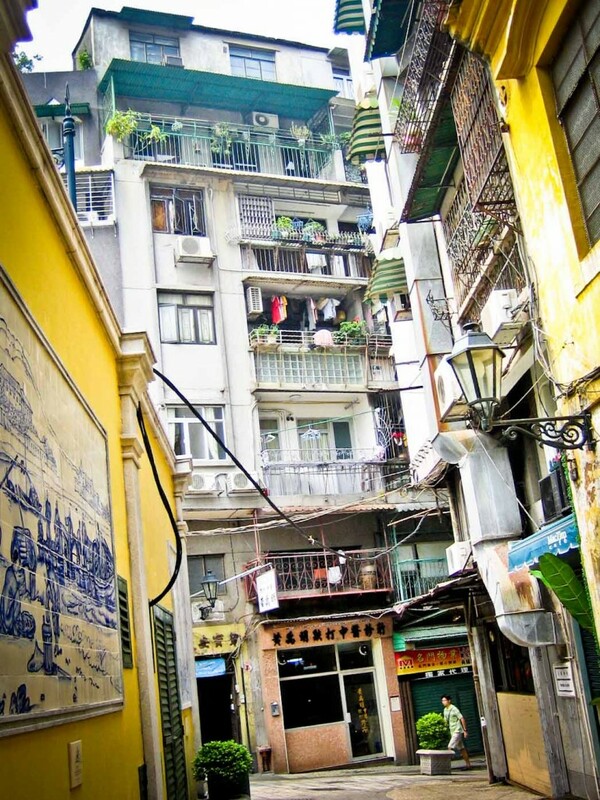 Sights: One of my favorite parts of Macau to show visiting friends or relatives was the Old City quarter, where Macau’s unique east-meets-west culture is most evident. Take a walking tour through its cobblestone streets and the European influence becomes obvious – the Portuguese signs, the faded pastel-colored buildings with flowers dotting the balconies, the numerous churches and cafes. It all feels very Mediterranean. The Asian influences are there too – mainly in the people themselves (who look Chinese for the most part), but also in the fun snacks sold along the streets like the egg custard tarts (more on this later) and sweet meat jerky, which have their origins in Asia. In terms of sights in the Old City, I’d always start at the Ruins of St. Paul’s Cathedral, with its gorgeous and very famous façade, and follow the signs to Senado Square, which is about a 30 minute walk with no stops. This would take me through much of the Old City and past most of the main attractions, including the lovely Lou Kau Mansion (which is all about the details: delicate teak shutters, stained-glass windows and colorful animal reliefs), and the very interesting Holy House of Mercy, which apparently played a role in Macau’s civic history (it houses a small museum that contains the skull of the first Bishop of Macau, circa mid-1500’s, to which many people pay pilgrimage). I also loved exploring the Old City’s narrow streets and back alleyways, many of which are filled with all sorts of interesting shops. Eats: My other favorite thing about Macau is the food. I haven’t quite figured out how to describe Macanese food other than to say that it’s a mix of cuisines and really freakin’ tasty – there’s lots of seafood and BBQ grilled meats which seem more Portuguese/Mediterranean. The famous Macanese chicken, which is made with curry and coconut milk, apparently has its roots in Africa (though it felt very SE Asian to me), while many traditional Chinese foods have been tweaked with Portuguese influences. The only thing that I’m absolutely clear about is the port wine – there’s loads of it and it goes very nicely with Macanese food. There are a bunch of Macanese food joints that I would frequent, but my favorites are probably the very popular A Lorcha in the downtown area, which does excellent seafood (the clams cooked in and garlic and olive oil and the grilled king prawns are tops), and Fernando’s at Hac Sa Beach, which does a bang-up grill including a fantastic roast piglet that requires pre-ordering, but is so worth the extra effort. When I’m in Macau I also try to stop by Margaret’s Café e Nata, for their famous egg custard tarts which are served hot, fresh out of the oven, and literally melt in your mouth (they’re like the Chinese version but with a sweeter custard and a more croissant-like crust). And for brunch, I’d often head to Lord Stow’s Cafe in the Coloane area, which serves a bit of everything – Macanese, Western, Chinese, etc – but also has a nice relaxing vibe to it. Gambling: And then there are the casinos. I won’t go into this too much (since everyone has got their own preferences when it comes to gambling) but I will say that the facilities are top notch (on par with Vegas) and offer everything and anything to keep you occupied and entertained. I tend to be partial to the MGM (where I seem to have the most luck) but if I’m with overseas guests, I usually end up at the enormous Venetian (once you’re inside, there’s no doubt about it being the largest casino in the world). It’s got everything you need to keep guests occupied, including a branch of the famous Fatburger chain (which I don’t mind since I’m a long-time fan) and also a Morton’s Steakhouse, which is always good for a few martinis and maybe a steak or two. Just the sort of things that made living in HK a little bit more bearable. Getting there: Finally, a few words about Macau travel. First, when purchasing your ferry tickets, considering going for the upper (or super) class seats. The incremental price versus economy seats is minimal (+US$20) but the benefits easily justify the cost. The upper class cabin is nicer and less crowded, plus you’ll get re-booking priority if you miss your scheduled ferry or if it gets cancelled due weather (which has happened to me a few times). It’s also a good idea to buy your return ticket when you depart as return legs (back to HK) often sell out, especially during peak periods. Second, when making local purchases, if you use HK$ (which is preferred) be sure to ask for your return change in HK$ as the local currency (the Pataca) is not traded outside of Macau. And third, when making sightseeing plans, consider booking a car and driver for the morning/afternoon. This way you won’t have to bother with taxis (which can be difficult to flag in tourist areas), and can instead maximize your time to actually see stuff. There’s also that perk of getting into an air-conditioned car after seeing the sights, which is especially nice when the weather is brutally hot and humid. I always use the Venetian’s car/driver service, which is quite affordable (less than US$100) and dependable. One tip: be sure to request an English-speaking driver when reserving or you may get a Chinese-only speaker, which also has happened to me. 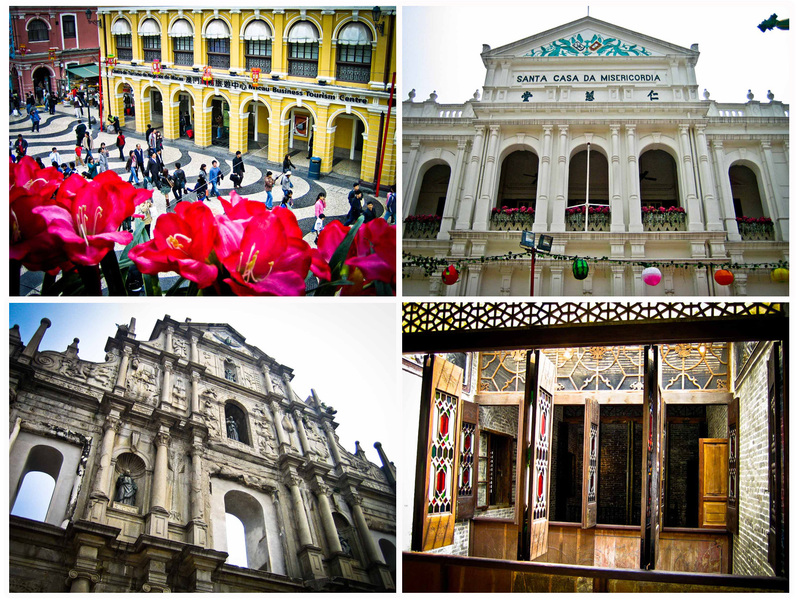 What are the little things that make Macau worthwhile? Wandering through the Old City and forgetting for a moment that you are actually in Asia, the tasty Macanese food (especially the grilled meats and those decadent custard tarts), and the port wine…love the port wine.